For part 2 of our series on Why you Need VR Analytics we will discuss the value behind users interaction and the very objects in the immersive experience and how this will ultimately become it’s own economy. It’s impossible to create engaging content without truly knowing what your users enjoy in the first place. Without this knowledge there is no way for content creators to monetize consumer engagement, let alone improve their work. It’s important to note that data itself is a manifestation of people’s attention, desires and interests, thus, drawing conclusions from the data is vital in order to move forward productively. Immersive Media analytics enables the creation of content that’s enjoyable, resulting in users consuming more content, meaning users are consuming that content for longer. On average, the American smartphone owner spends around 2 hours and 26 minutes on applications each day. Recent competition amongst major platforms isn’t about the number of users they can recruit; it’s become a race to increase user engagement within their app’s ecosystem rather than their competitor. An app’s ecosystem includes all the networks, platforms, content, users, and everything else involved in the system’s process. The implementation of analytics into your immersive content will increase the duration in which users spend inside your ecosystem. Game, set, match. It’s all about the consumer, not the content. In other words, content isn’t king, the consumers are. Polish their crown, bow to the throne, whatever must be done to make the King happy. The happier the consumer is viewing your content, the longer the King is in your court. The longer the user spends in your court, or ecosystem, the higher your return on investment (ROI). Immersive Media (360 Video, VR, AR) has the potential to increase the duration of a user’s stay within an application or closed ecosystem. Done properly, strategically produced content can be used as a means of learning more about audiences by tracking viewing patterns. Knowing the focus points user’s on strategically placed products, in turn, may be used to optimize the placement of traditional mobile advertising content via targeted campaigns. When agencies and brands identify the role of immersive media amongst the rest of their marketing strategies, it will graduate from “experimental marketing budget land” to a standard category heading on a client’s service agreement. Time is on the user’s side, not the content creators. Therefore, it’s entirely up to the user to decide the amount of time they spend within your ecosystem. If the collection of data is the ballot box, the amount of time a user spends in that ecosystem is their vote — and they’ll vote for what they want to see. In Derek Thompson’s Hit Makers: The Science of Popularity in an Age of Distraction, the author explains the idea of exposure breeding familiarity, familiarity breeding fluency, and fluency often forming habits which can result in evangelization because of a sense of mastery. Right now, brands are figuring out how to present a virtualized version of their products for people to learn about and interact within virtual reality. VR analytics provides a log of the amount of time people are exposed to product A, which results in familiarity of product A, which leads to fluency of product A. Having a log that depicts the duration in which people go through these three steps allows you to understand the relationship between the person and object in VR. There are different levels of marketing campaigns associated with one’s knowledge of the product in VR, who answers the question of which marketing materials to send to the different segments of consumers who have a relationship with your product or service. When you send out an ad explaining your product to someone who is already fluent in it, you have wasted valuable time and hard earned money, and have most likely bothered the fluent user. Remember, user experience is key. Take advantage of knowing what people are fluent in to optimize their experience. In order to understand consumer levels of exposure, familiarity, and fluency with your brand’s product, create a virtual version of the product and measure the duration in which they focus and interact with it. Once you have that information, create different marketing strategies for consumers who have merely been exposed to the product, consumers who are in the familiarity stage, and consumers who have a master level of understanding of your product. When entering the object economy, this personalized layer of behavioral data puts your company ahead, very ahead. Gazing at a Coca Cola bottle and picking up the bottle have equal value in virtual reality. These actions are contemplation and participation metrics, which are transmitted as behavioral data, identifying unique demographics. When consumers shop at virtual grocery stores (which may become the norm), they look at all the products on the shelves and focus on, or even participate with, certain items. These unique consumer contemplations and participations illustrate human differences, enabling producers to cater to each consumer segment sharing the same habits. These individual actions and body language provide more context. The more context you have about your customers, the more aligned your strategic decisions will be with the preferences of your consumers. Traditional media analytics are event driven; immersive media enables the entire experience to be an event in which users may be engaged with. Companies have shifted from analyzing numbers to actual human emotion. VR has created a platform that, for the first time, ties behavior to purchasing contemplations and participation decisions. Take advantage of this knowledge and gain deeper insight into your consumer base in order to boost your ROI. Enter Mimetics and the Virtual Object Economy:Right now, brands are figuring out how to present a virtualized version of their products for people to learn about and interact within virtual reality. 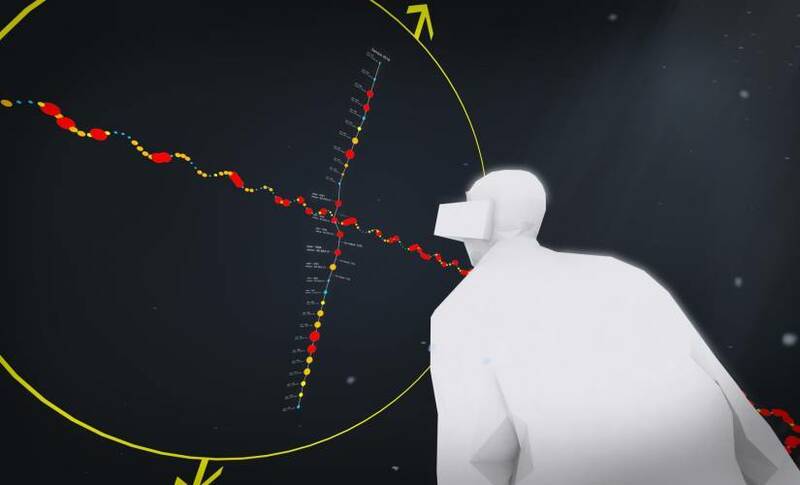 VR analytics provides a log of the amount of time people are exposed to product A, which results in familiarity of product A, which leads to fluency of product A.
Contemplation is participation: VR has created a platform that, for the first time, ties behavior to purchasing contemplations and participation decisions. Take advantage of this knowledge and gain deeper insight into your consumer base in order to boost your ROI. Part 3 of this series will be released soon but if in the meantime you’d like to learn more about how you can use vr analytics feel free to reach out to the Thrillbox Team. Benjamin Durham is the COO and Founder of Thrillbox, an immersive media platform that provides actionable business intelligence and monetization capabilities for virtual reality and augmented reality through the power of big streaming data.